Parties provide a great opportunity to expand your network, socialize, see and be seen. When you want to create a strong impression, MK Limo can assist you. With top of the line luxury transportation and chauffeur services, we ensure your comfort, convenience, and safety when going out to any social event within the Spring, Texas area. We specialize in offering luxurious, VIP transportation experiences to passengers for special events and occasions, as well as corporate use. Our wide selection of vehicles guarantee we can provide you with the perfect transportation solution for your budget, taste, and needs. Contact us to reserve your limo in advance for the next party, gala, charity ball, or social function you attend. The luxury vehicles provided by MK Limo are sophisticated, stunning, and perfect for any and all occasions. Make a statement upon arrival at the party with your vehicle selection. Go bold with our Mercedes-Benz Sprinter, or pick a classic Lincoln Town Car for a sleeker look. We offer limousine options to suit most situations and satisfy even the most discerning passengers. Let us know what you are looking for, and we will do our best to assist you. We want Spring, TX residents to feel confident, excited, and proud when they use our limo transportation services. MK Limo makes arranging for party transportation easy and hassle-free. Our passengers do not have to worry about getting lost on the way, finding parking, or walking far distances in their evening attire. We provide convenient pick up and drop off services organized around your planned schedule for the evening. Eliminate long waits and competing for taxi service from your party itinerary. We attend to your transportation needs to ensure you a smooth arrival, grand entrance, and swift exit when you are ready to return home. Finding transportation for a large group is easy and convenient with MK Limo. 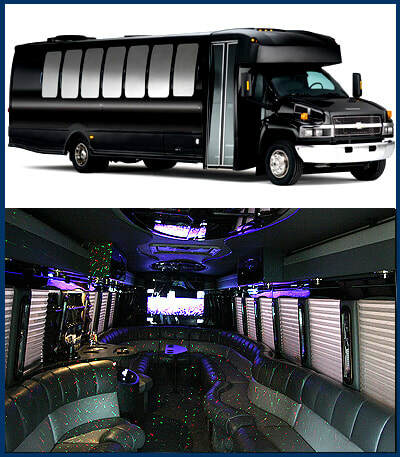 Our luxury vehicles can comfortably accommodate 10, 14, or even 25 passengers. This makes keeping everyone together, on track, and safe during a wild evening out a much more manageable task. Onboard amenities and entertainment allow you and your guests to celebrate together on the way to the party and back, so that you never have to miss a beat. A good party is all about the people you are with, and our limousines are the perfect way to make sure you have room for everyone. ​Drinking and driving can result in a number of unwanted and tragic consequences that can ruin a good time. Always plan your transportation ahead when you know alcohol will be involved. MK Limo helps Spring, TX residents make partying responsibly an enjoyable and easy experience. Our convenient and reliable limo rental service provides you with access to transportation for the entire night. No matter where you go or how late you stay out, you can be confident that a professional chauffeur will be available to you throughout the night.